Welcome to Boarding House Books. 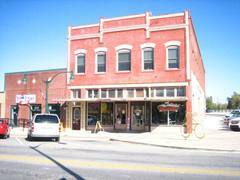 Located in the heart of historic Downtown Claremore, the store is in a lovingly restored 100 year old building that was the Ward Boarding House. 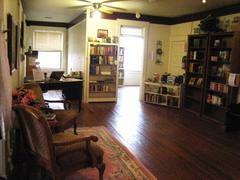 The Ward Boarding House once welcomed weary travelers to Claremore and now welcomes, in its parlor and many rooms, over 40,000 books to delight and educate. We carry a broad selection of books for general readers, children, scholars and collectors. Most of our inventory is carefully selected “pre-owned” books, but we also carry a section of new books, children’s books, books required for school classroom reading and local /special interest books. 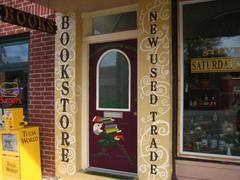 We have about 40,000 books on the store shelves, and new arrivals come in every day. Much of our inventory is not listed on line–including most of our inexpensive paperbacks. If you can’t find what you’re interested in, please visit our store or give us a call. We invite you to stop in any time and browse the wide selection.